Given the current global movements to quell diversity it’s apparent that, as designers, we could be doing something about it. So we asked: How could we help celebrate culture and diversity, rather than suppress it? Considering the many ways we could go about helping to change the conversation, we recognized an opportunity space within the emerging world of Voice UI. Given the trajectory of Voice UIs—looking beyond seemingly inconsequential interactions like adding things to calendars, turning on lights, triggering music—we envisioned a tool that could actually help immigrant parents raise their children as an American while maintaining a meaningful connection to their native culture. 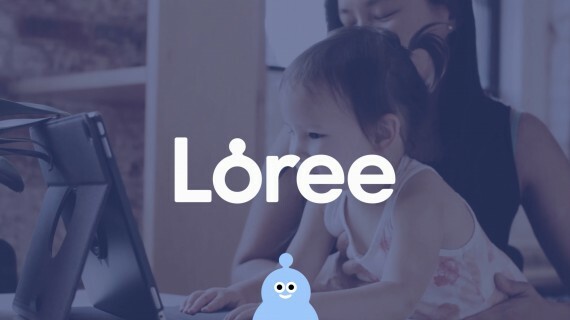 As a result, we created Loree, a concept that redefines how parents pass down their culture through conversation. While passing culture and language to one’s children is aspirational and heartwarming, it’s a daunting responsibility that requires consistent commitment, resources, and expertise—all of which few parents are able to fully provide. Through our research with parents, we found that story time is viewed as an invaluable part of a child’s upbringing. So we created a concept that that utilizes the power of a conversational UI to combine all the benefits of storytime and conversations in a family’s native language. Ultimately, Loree helps parents impart their values and culture, and empowers children to be proud of their identity. Loree is an artificial intelligent companion that uses stories to redefine the way parents pass down their native culture to their children. She lives in smart devices and uses a voice-activated interface to converse with children and their parents about their day. She’s a natural conversationalist, fluent in all languages, and knows how to adjust her approach as a child grows and learns. With Loree present, parents no longer have to bear the sole burden of passing down their culture alone.